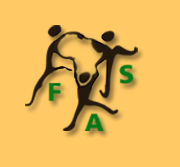 In order to encourage the nomination of more women for leadership positions, Femmes Africa Solidarité (FAS) is compiling a database of prominent African women which could be referred to by institutions and decision-making bodies when filling vacancies. The "leadership bank" is a register of qualified African women from various areas of expertise which, it is hoped, will be used as a tool to promote equal gender balance within organizations such as the African Union. We also hope that international organizations looking for expertise in the field will find this database of interest.